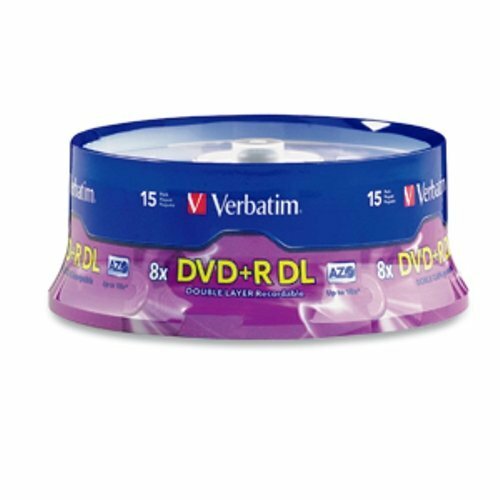 Double-layer discs provide ample storage space 2.4x write speed allows you to burn a full disc in approximately 12-15 minutes. 8.5GB of storage space lets you record up to 4 hours of DVD-quality video. Features 2 AZO recording layers on a single-sided disc, nearly doubling the available storage space. No need to flip the disc. Compatible with DVDR DL drives from manufacturers such as Sony, Philips, Lite On and more. Spindle helps reduce storage space needed.